In Tanzania, women farmers appearing on a TV show called in English “Female Food Heroes” are bringing attention to the importance of their work and the barriers to expansion. “ ‘I want to make agriculture like a business,’ says Kiogwe. … With a little effort, greater value can be added to the fruits farmers grow, for instance. “ ‘Change it from fruit to juice, we can sell it … We can add value to maize — maize flour for porridge — and you can have a good label and good packaging and compete with international businesses. That is my dream.’ ” More here. 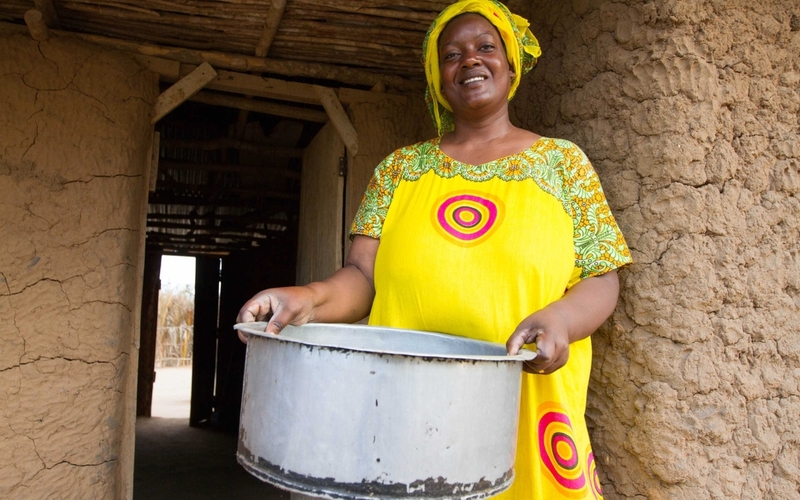 Edna Kiogwe helps her host family with the morning chores in Kisanga, where the TV show “Female Food Heroes” was filmed in 2015. When dollar bills of any denomination get too beat up to use, the federal government shreds them. For a long time, the various Federal Reserve banks gave out small bags of shredded money to visitors as a souvenir — always a big hit with kids. But for the last few years, shredded money has been used as compost in gardens. Here’s a story from Seth Archer at Business Insider about the new approach. “Have you ever wondered what happened to currency that gets damaged? If you have a paper shredder in your home, you already have a pretty good idea. But that’s just the start…. “The New Orleans branch of the Federal Reserve shreds $6 million in cash each day. They mainly shred bills that are dirty, taped, graffitied or otherwise unfit to be used as cash. “The bills are shredded to a fine texture to make compost. … The cash is transferred to a compost facility, where it is mixed with other materials to make nutritious plant food. “After the compost is made, it is sold to local farmers, who use it to grow peppers, tomatoes and cucumbers. Recipients of Heifer Project’s cows, chickens, pigs, and other assistance commit to giving the offspring of the donated animals to others in need. That way the giving grows and spreads. Recently, Heifer Project has been helping poor farmers in Guatemala make enough from their cardamon crops to live on. Editor Jason Woods, has the story in the nonprofit’s magazine, World Ark. “Miguel Xo Pop farms his own plot of land. Everyone in the Sierra de las Minas depends on two crops, cardamom and coffee, to survive. Xo and his family are no different. Traditionally, the cloud forest’s climate helps the two plants thrive, but in the past few years a pair of plagues cut cardamom prices in half and reduced coffee income to nothing. More on the lives of the farm families, here. The reporter also describes how an altruistic businessman moved to a “double bottom line,” one that includes charity. 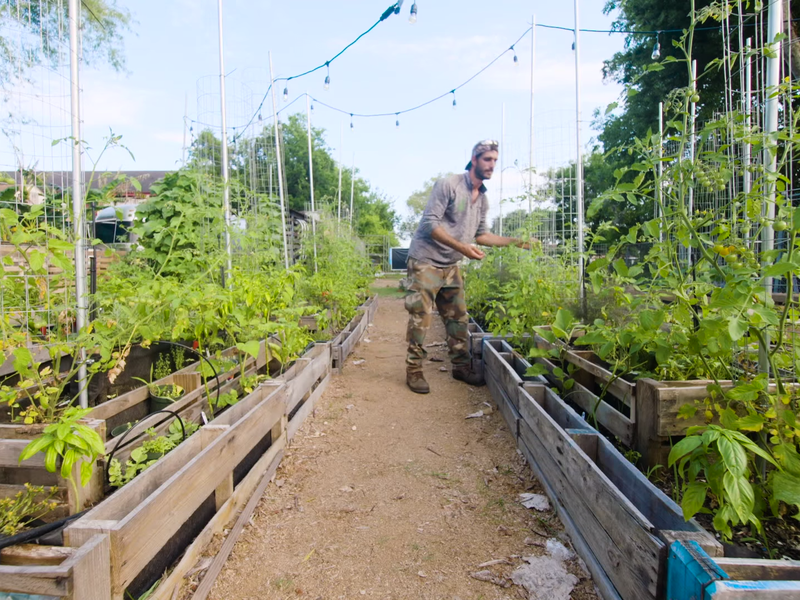 “A couple of years ago, McKinley Thomason was searching for a way to use his Nashville-based spice business to make a positive impact. After hearing about Heifer International’s burgeoning work with cardamom, he knew he had found his organization. “Shortly after contacting Heifer, Thomason’s company, The Doug Jeffords Co., started donating 10 cents to Heifer Guatemala for every seasoning blend sold from their J.M. Thomason line. But Thomason’s passion for Heifer’s work in Guatemala moved him to do even more. More at Heifer Project, here. John’s web surfing has been turning up topics he knows I’d like, too, and he takes the time to send a link. An article he sent from Modern Farmer describes why scientists are studying cows’ hairstyles. Hair whorls on cows’ foreheads, O’Brien reports, “may be more than an aesthetic quirk. About two decades ago, animal behaviorists began to notice a connection between crazy hair whorls and crazy animals. “How, then, are hair growth patterns and temperament related? It all has to do with brain development, says Dr. Amar Klar, head of the Developmental Genetics Section within the National Cancer Institute in Frederick, Maryland. “ ‘Our skin and the nervous system come from the same layer of cells in embryonic development, the ectoderm,’ Klar says. ” ‘When we were looking at brain laterality and the location of internal organs, hair whorls also came up,’ Klar says. His research has shown that within the human population, the majority is right-handed and demonstrates a clockwise hair whorl. “Livestock seem to mimic this handedness. A study from the University of Limerick in Ireland in 2008 demonstrated that horses with clockwise hair whorls were significantly more likely to move toward the right, or begin a gait with the right-sided hooves — in essence, these horses were right-handed.” More here. Scientists have been exploring the connection between the cow’s hair whorl and its behavior. Did you know that plants can protect themselves from predators? Writes Douglas Quenqua at the NY Times, “It has long been known that some plants can respond to sound. But why would a plant evolve the ability to hear? Now researchers are reporting that one reason may be to defend itself against predators. “Plants exposed to other vibrations, like the sound of wind or different insects, did not produce more of the chemical, suggesting they could tell the difference between predator noises and atmospheric ones. The researchers published their work in the journal Oecologia.” More here. I have an idea. 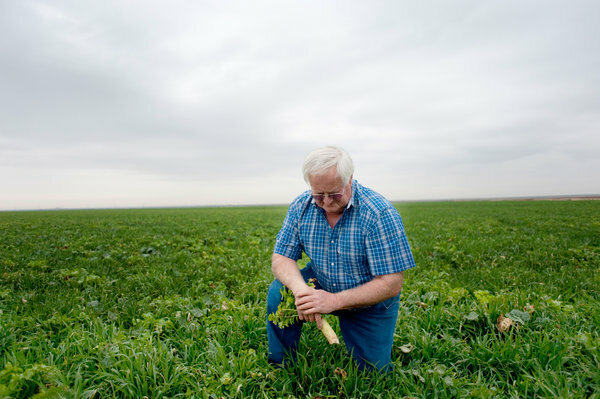 How about farmers, instead of using genetically modified seed to protect plants, just pump recordings of crunching predators into their fields so that the plants could protect themselves? Can you hear the crunching of the caterpillar?